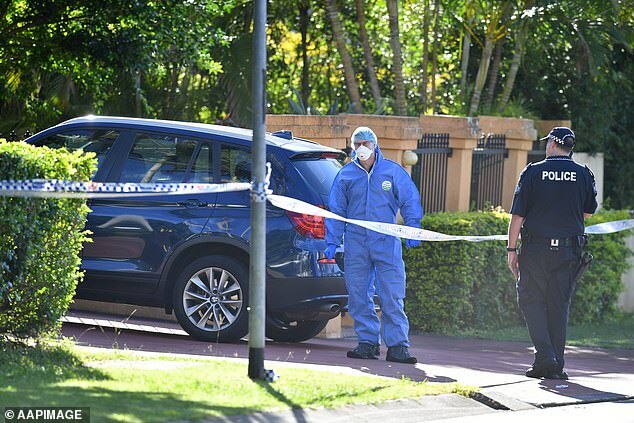 A killer is on the run after gunning down a doctor at his Brisbane home. ‘The man’s family was home at the time, his wife and two adult children,’ Detective Acting Inspector Steven McCartney said. He was taken to Princess Alexandra Hospital in a critical condition where he died. Police have asked for anyone in the MacGregor area, particularly on Delfin Street bounded by Mains Road and Granadilla Street, to come forward with any CCTV or dash cam footage. The shooter remains at large and it’s believed the pair didn’t know each other. Police suspect only one person was involved but say it could be more. They are unable to say what type of gun was used or at what range the shooter fired from. The victim worked as a doctor in Brisbane’s Chinese community on the city’s south side. His wife is an overseas trained doctor, and their two adult children are also studying to become doctors.